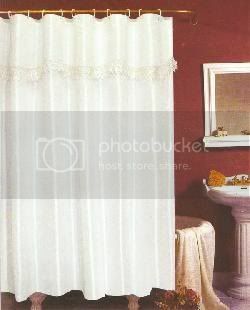 One of his favorite things when we were growing up was to hide behind closed shower curtains. You go to the bathroom and get all comfy and situated (yes, he'd wait until you were "in process") then he'd throw back the shower curtain with a gleeful roar and scare the literal crap out of you. Ah good times. I can't tell you what kind of lasting effect this had on all of us, because my entire life, even if I'm at somebody else's house, I will ALWAYS look behind the shower curtain before using the bathroom. Heck I was 1,850 miles away at college and STILL found myself checking behind curtains just to make sure he wasn't back there. He not only like to hide in the shower, but also just to stand in the darkened doorway of the bathroom with the hall lights off and wait for one of us unsuspecting kids to come down the hall and walk INTO him. Quite frightening. Sometimes he was just his plain self, other times he used "the mask". I must tell you about the "mask" in it's own blog, because it was a big part of my childhood but it definitely needs it's own space of reflection. Anyway, now I'm grown up and live in my own house and I have an opaque glass shower door, which is perfect because you can not only always see IN to it but OUT of it as well. Very important. I am Jenn's father, and in defense of myself...I guess there is none. I figured that if God wanted to bless me with with four kids, I should give them a childhood that they would always remember, for better or worse. My motto in raising kids: lots of love,laughter, encouragement,fun, and of course scare them soooo bad that they wet their pants. Jenn, your wild and crazy dad loves you...be sure to check behind the shower curtain!!!! LOL, had to chuckle at this because my SIL said her father did the same thing to her and her sisters! !